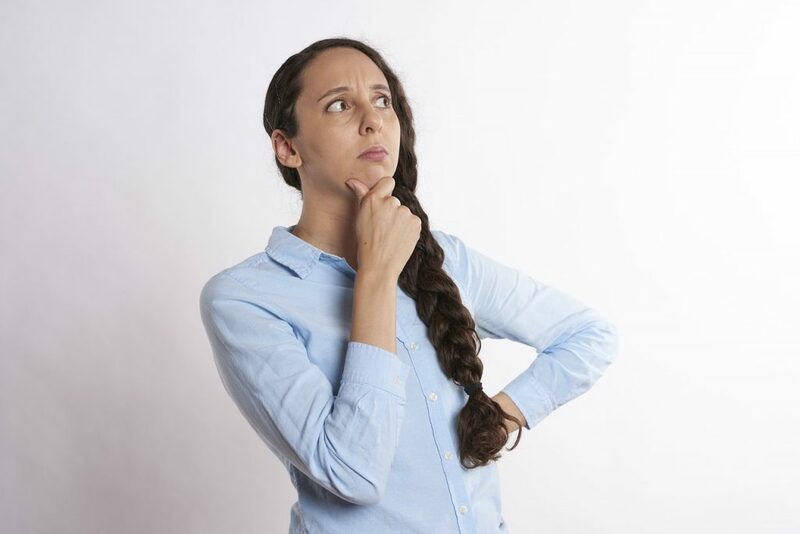 How To Find and Research Unusual Genealogy Sources | Are You My Cousin? In a previous post, I shared one of my children’s favorite television shows when they were little – the Disney Channel’s show Out of the Box. We all loved that show! (I still have the theme song in my head.) Encouraged to use their imaginations, my children were soon using everyday objects to create castles and boats and forts and tea parties…..you get the idea. My children were thinking outside of the box when it came to their play. Now don’t worry. We are not going to be researching imaginary ancestors or record sets! 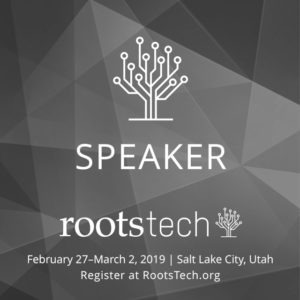 We are going to think “outside of the genealogy box” and consider unusual genealogy sources to find our ancestors. 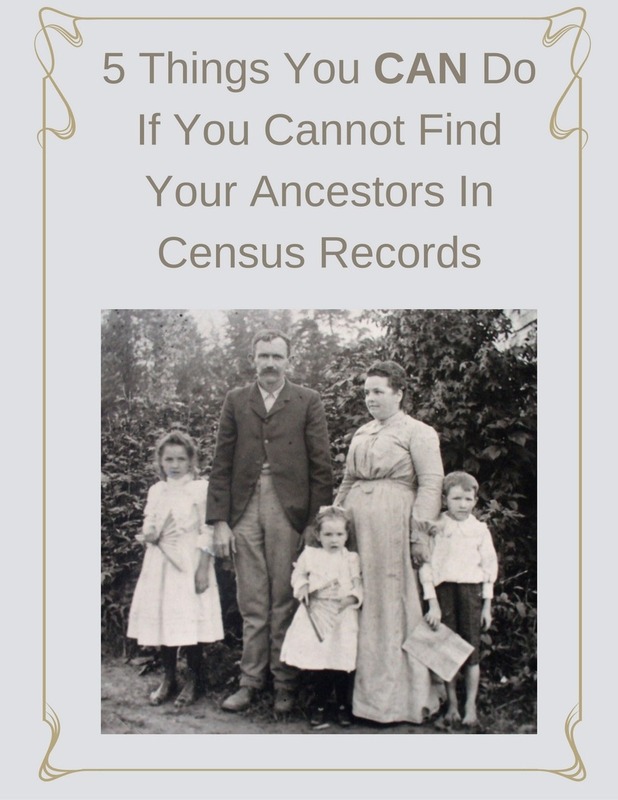 Let’s think beyond the standard genealogy research of census records, birth records, marriage records, etc. 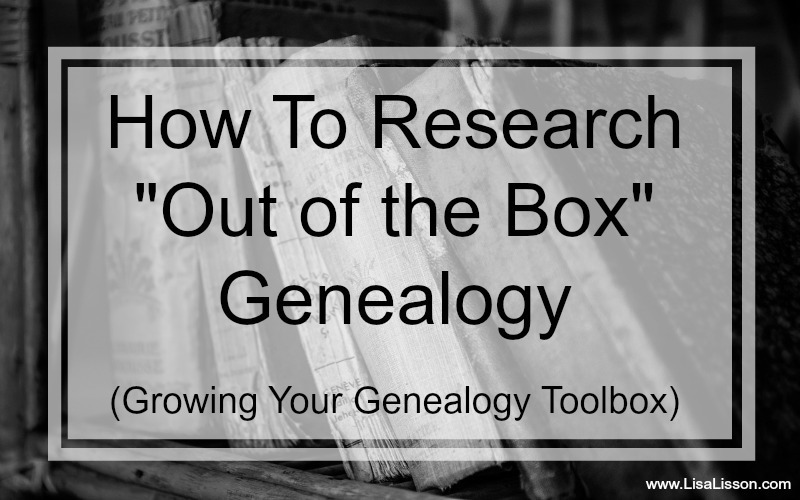 Finding and using those “out of the box” genealogy sources will benefit your genealogy research. Don’t limit your success by only researching the traditional genealogy records. 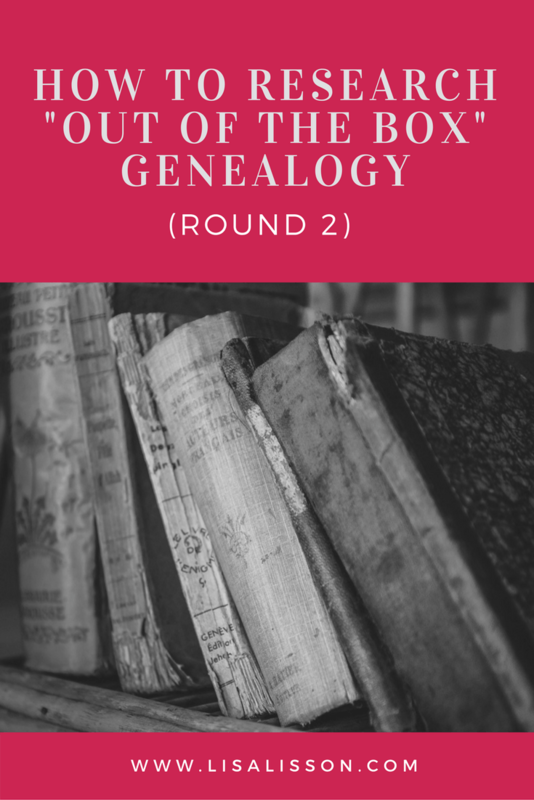 Below I am sharing unusual or “out of the box” genealogy sources that can be used in your genealogy research. Get to know your ancestor well – I mean very well! – in the traditional genealogy records. Were they in the military? Do you know their occupation? Who was important to them? Who appeared alongside them in the records? Having a good understanding of your ancestor in traditional records will help you recognize your ancestor in the more unusual record sets. When you find an “out of the box” record set, educate yourself on that unique and/or unusual record sets by reading the “About” sections on records before you begin your research. Find out exactly what a record set contains and how the records are organized. Also, learn about any idiosyncrasies about that particular record set. This will be a huge time saver as you research. 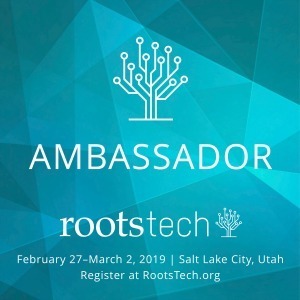 The large databases such as Ancestry.com, FindMyPast, MyHeritage and FamilySearch all have lots of record sets researchers do not know exist or do not think to check . Find examples below of out of the box sources. 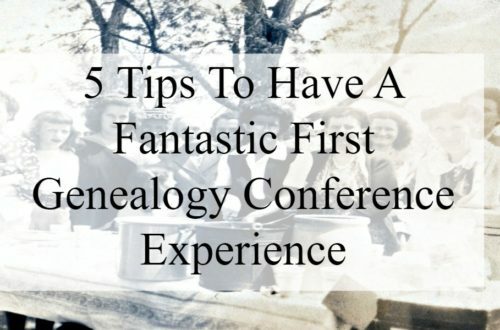 These are not comprehensive lists, but rather lists to get your creative juices flowing as you start to explore unusual genealogy sources for your own ancestors. One of the places I like to check for unusual records is the recently added records section. 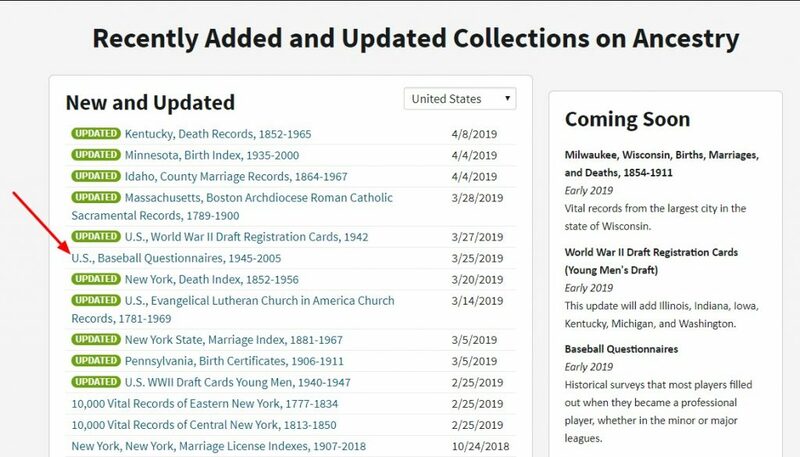 A quick check today on Ancestry.com yielded the U.S., Baseball Questionnaires 1945-2005 record collection. I’m thrilled, because I do have baseball players among my ancestors. Find more unusual sources by searching the card catalog in each of the databases. Search by record type (such as Schools, Directories and Church Histories) and narrow down by your state and county location. Headstones Provided for Deceased Union Civil War Veterans, 1861-1904 Contracts/cards for headstones provided for Union soldier graves by the government. U.S., Army Transport Service, Passenger Lists, 1910-1939 This record set contains not just troop passenger lists that were transported, but also support personnel (such as nurses) and even family members. Reports of Deaths of American Citizens Abroad, 1835-1974 Famous persons, casualties of the Titanic and just “regular folk” can be found here. Montana, Prison Records, 1861-1968 Records for Montana prisoners. U.S. Military and Naval Academies, Cadet Records and Applications, 1800-1908 Registers, applications, records of conduct and more…..
U.S., Craftperson Files, 1600-1995 Information on American Craftpersons including artists, blacksmiths, silversmiths…..
California, San Francisco Area Funeral Home Records, 1835-1931 91,000 records of individuals buried in the San Francisco area, including those lost in the 1906 earthquake. Shipwrecked Passengers To America, 1817-1875 – Interesting records! State and local archives are full of unusual and uncommon genealogy records potentially holding clues to your ancestors. 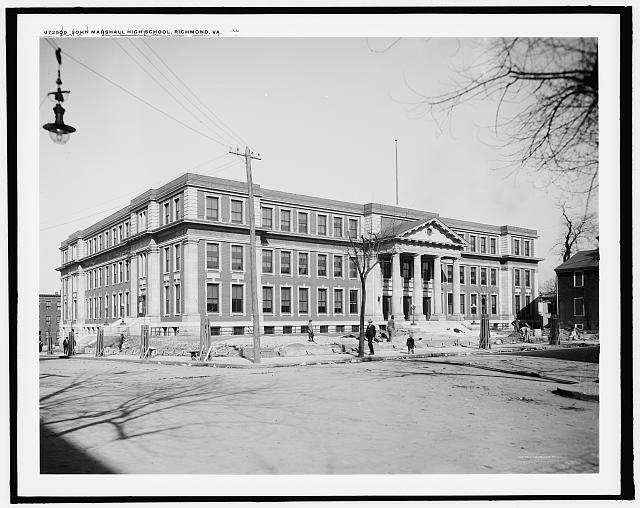 Take time to discover what types of records your state archives has. Check their card catalog and/or talk with an archivist. Don’t forget the online collections! Merchant account records – Potential source of a merchants customers. Road records – Potential source for placing your ancestor in time and place. Records of lunacy – Potential source of individuals declared lunatics. Do not overlook possible record sources held within your own family! 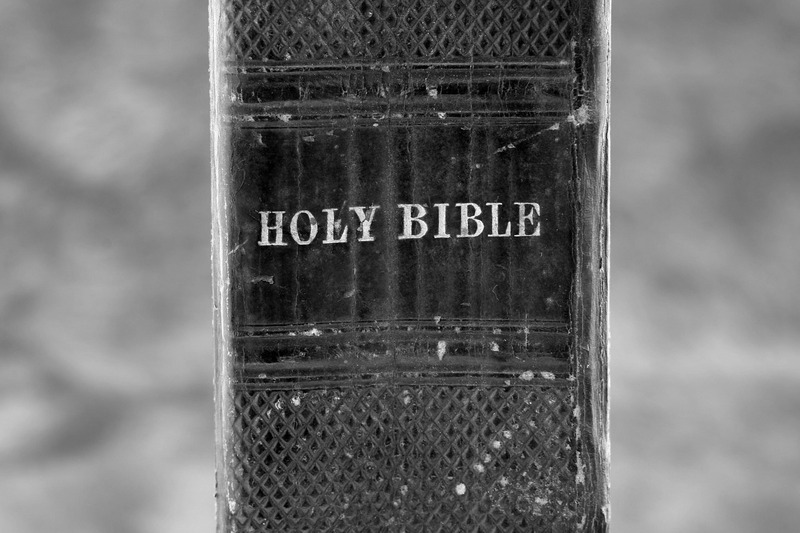 Published family histories – Often these can be found in the local library or on your family’s bookshelf. Use these as clues and verify the information. Oral histories from distant cousins. Actively seek them out! Oral histories from family members with dementia. Our family members who suffer from the unfortunate diagnosis of dementia can still offer insight into your family history. Read tips and suggestions for interviewing a family member with dementia. 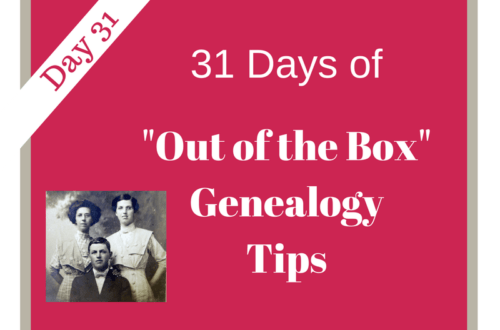 Take time to explore unusual and “out of the box” genealogy sources. 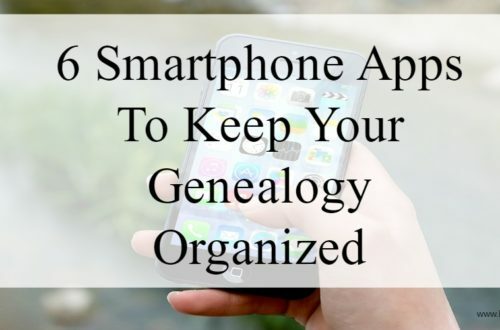 When you’ve hit that genealogy brick wall – which we all do! – thinking outside the box can jump start your research. I actually have a question that I hope you can answer for me or direct me to a reference that covers it. I have yet to find a reference that provides suggestions as to how to find your female ancestors siblings. I am, searching for my paternal grandmother’s brothers and possibly a sister. No one still living in my family knows how many siblings she had, although it is believed she had 2 brothers and maybe a sister. I believe we have her mother’s name, but not her fathers. Any ideas as to where I should start or a reference I could use? If the correct time period, check the 1900 and 1910 census records. These both list the number of children a woman had and the number of children living. This could help confirm the number of siblings there were. 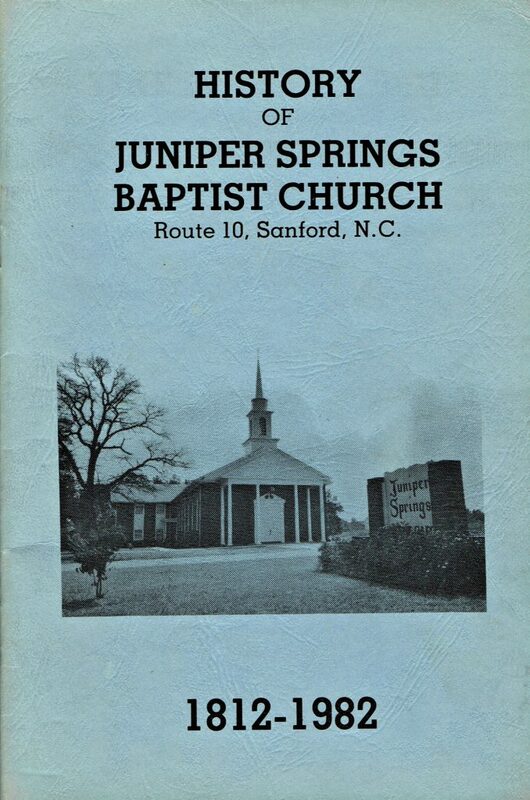 Other resources might include your grandmother’s marriage certificate/record (see who witnesses were), newspapers in the area, and even church records might help. Also, since you have her mother’s name, research her thoroughly. Who did she marry (if she married)? Who appears next to her in the records? Essentially, determine possible sibling candidates and then research those individuals out. This type of research can be tough. Often there is no “one resource”. You’ll need to build your case by studying who is in the community. I enjoy your helpful and informative articles. Those who do research do not think of all the various avenues one can tap into to find their ancestors. I wanted to let you know that I publish a weekly International newsletter and I add your helpful and informative articles to these newsletters as I receive them from you. So, you are getting more exposure. The newsletter covers different categories. So, there is something there for many people to tap into. Genealogy being one of those categories. 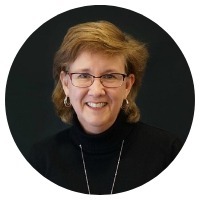 Thank you Lisa for all you do to help us with our search for our ancestors and have a blessed day in Yeshua/Jesus. That’s, Eddie! So glad you find AYMC helpful!